The KM 80 W P sweeper is extremely easy to manoeuvre and can be used all year round. 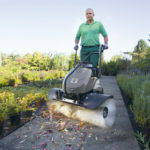 What’s more, its series front brush and range of accessories with tool-free assembly make it very versatile. 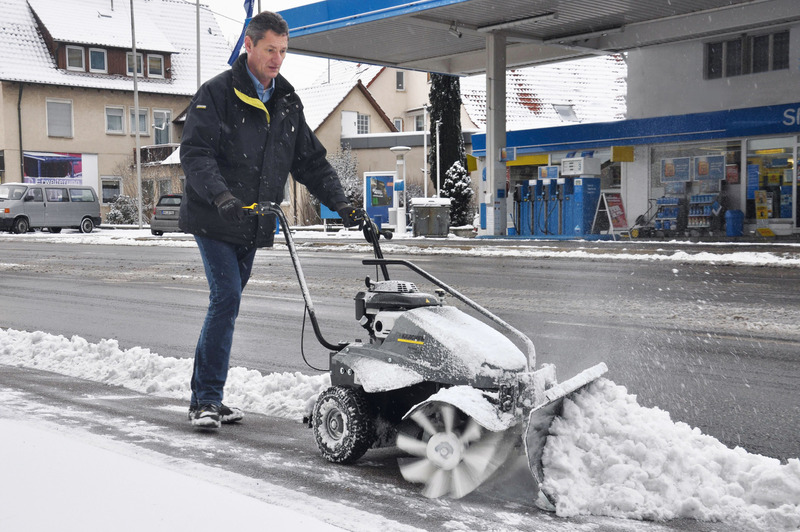 For example, in cases of heavy snowfall, the roller brush can be used in combination with the optional snow blade. 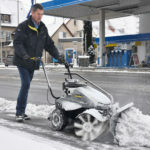 The spring mechanism in the snow blade enables obstacles to be driven over with ease and prevents damage to the machine. 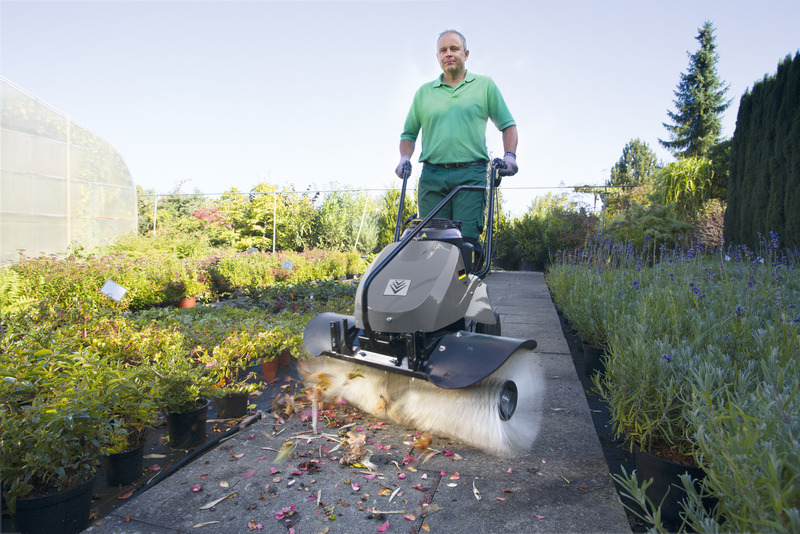 Leaves, coarse dirt and other debris land directly in the sweeping container. The towed wheels of the container ensure quiet operation and smooth steering. 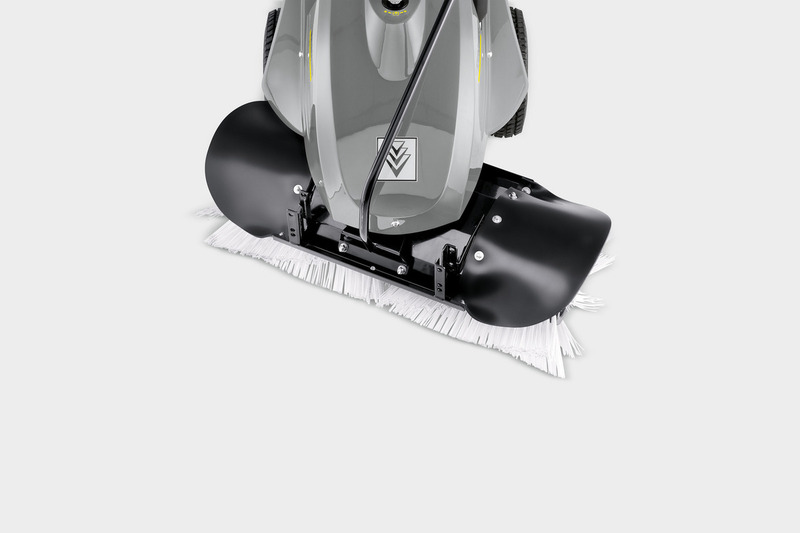 Specially designed for professional use, the KM 80 W P front sweeper can effortlessly handle almost any task. 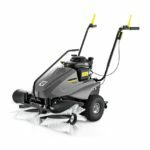 The machine is suitable both for professional facility management and for use in a municipal environment. 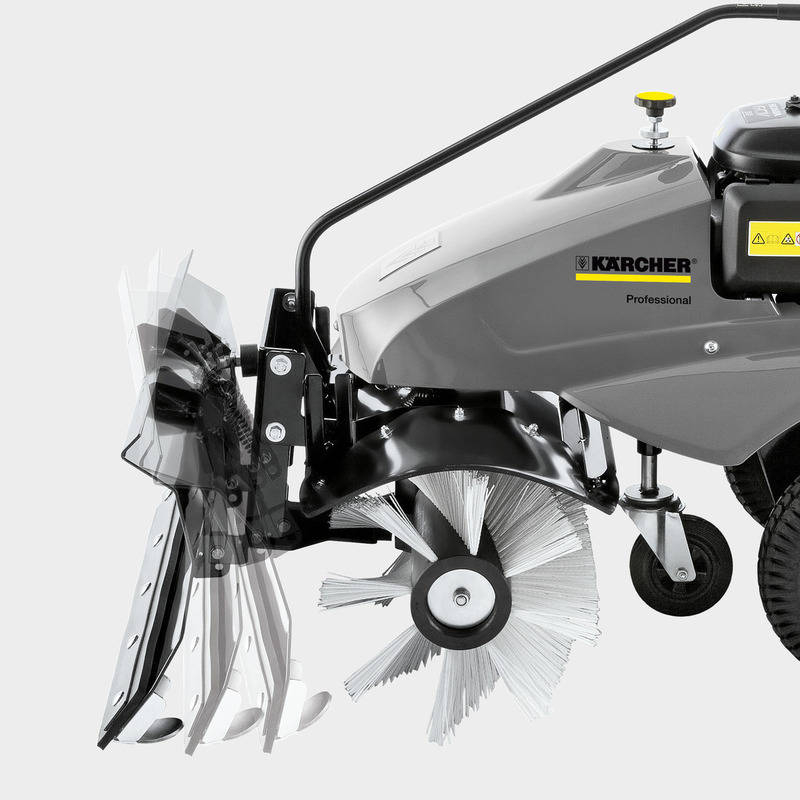 The robust metal frame guarantees a long service life. 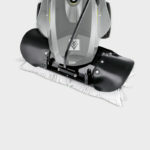 All components are tested for durability.